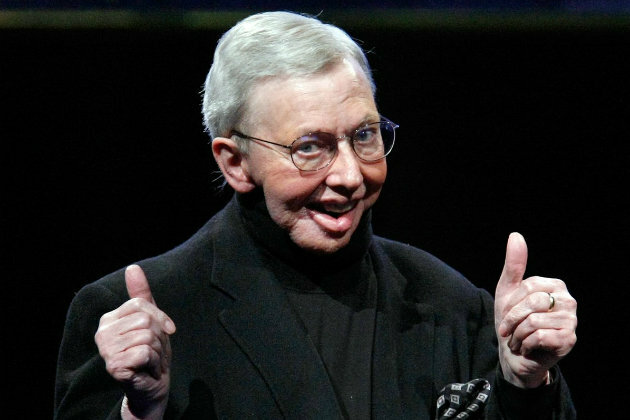 Roger Ebert, Chicago movie critic, author, icon, Pulitzer prize winner, was laid to rest yesterday.We all knew Roger through his words, insights, books, and television show. He had a profound influence on movies, politics, culture, life, and health. I worked with Roger in 1980 for the promotion and marketing of the video release for the movie ‘9 to 5′. I was a consultant to 20th Century Fox Video. To promote the release I had the privilege of talking with Roger about the movie stars’, the edgy humor, and camaraderie between Jane Fonda, Lily Tomlin, and Dolly Parton. We talked about Beta tapes vs. VCR. We mused about Chicago hotdogs, deep-dish pizza, and Italian beef sandwiches. Roger offered his wisdom and focused my promotional efforts. We even shared the same birthdate, June 18. Ebert was kind, offered me career advice, and promoted the video in his columns. Roger made me a ‘star’ to Fox. At the same time, he wrote a business script that I have followed. While we did not spend time together after our brief involvement, Roger had a profound influence on me as well as others. I want to share what I learned from Roger. I hope he’s not too critical. 1-Roger created a personal brand. I learned from him how to define and identify your core competencies.He was first and foremost a Chicago newspaperman. Roger was one of the first business people I met that created a personal brand even before marketers and agencies tried to replicate the concept. Create your brand. Nurture it. Protect it. With the right personal brand, you’re the only choice. 2-Roger was a mentor. Roger and I talked about the future of videos; the possible acts of piracy of intellectual property, and the ability of the movie studies to deliver targeted advertising on the video media. He gave me insights, suggestions, and direction. For the time we spent together, he made me feel important and relevant. I learned that giving to others often resulted in receiving more than you gave in return. Give without remembering. Receive without forgetting. 3. Roger knew his audience. He had conversations with his consumers. He felt what they felt, saw what they saw, and became a value interpreter. Roger was a critic but that did not mean he criticized. He provided insights, education, and opinions that others could use. The New York Times called him a critic for the common man. Yet there was nothing common about Roger. Uncommon wins. 4.Roger was luminous. He shared the spotlight. Even though he could have hidden from public view after his cancer surgery left him unable to speak or eat, Roger continued to have a ‘voice.’ Roger won a Pulitzer Prize, a Star on the Hollywood Walk of Fame, and remained one of the most prolific movie critics of our times. He became a voice for those afflicted with cancer. Roger’s honesty during his final years made him move relevant, to more people, because he touched us all in many ways. Roger, unlike his fellow critic Gene Siskel, allowed us into his life so that we had a chance to cement our bond with him. The choices you made determine the person you become. 5.Roger leveraged enmity. Rivalry often pushes both to work harder, smarter, and contentment. Together Siskel and Ebert became partners that sharpened their skills and gave consumers, their relevant choices. Live life from the inside out.